By donating your pennies, nickels and dimes to a Ronald McDonald House of Durham & Wake Donation Box at your local McDonald’s, you can help make a world of difference for families with a sick child. Visit your participating McDonald’s on our RMH Day of Change every October for a special annual celebration of your spare change and support! Download your collection labels here, and start collecting today! A simple way for you to create your own fundraiser. Donate your vehicle and help us help families. We rely on our generous community to donate everyday household supplies. 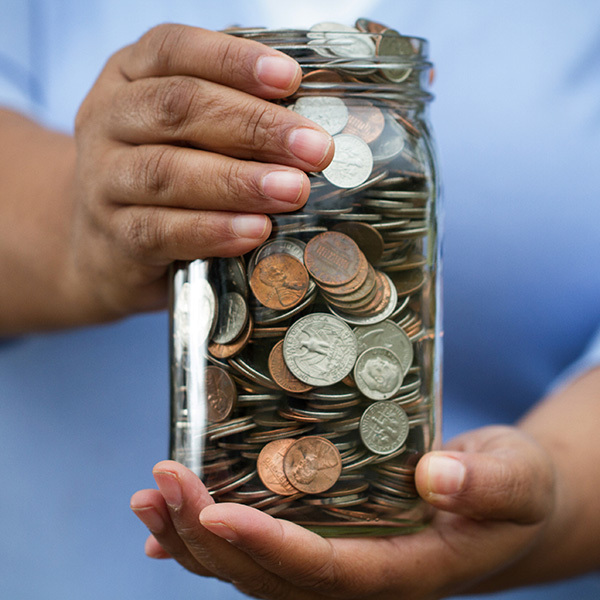 Help collect pennies, nickels and dimes for our Day of Change and all year round.